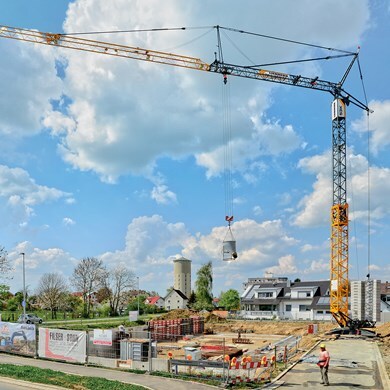 The fast-erecting crane programme of lattice construction extends from 26 to 120 mt. 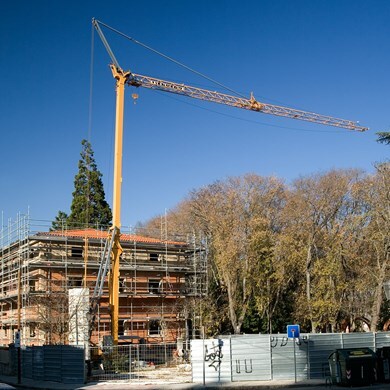 These cranes have various jib lengths and hook heights as well as simple erecting kinematics. 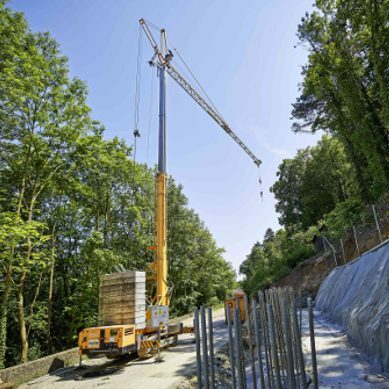 These cranes can be transported on the road as complete ready-to-use units. They need very little erecting space and offer quick and easy installation. Changes reserved. Reserve technical changes. For any question call. 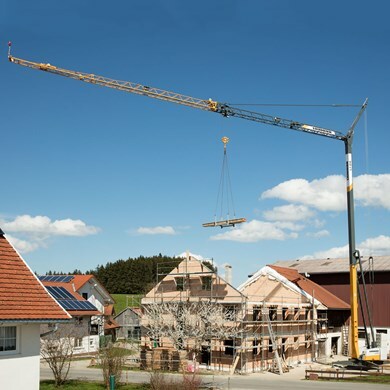 H cranes can be erected very quickly using their time-tested hydraulic system. Powerful, precision drive units and useful functions such as the automatic re-reeving device ensure high handling capacity and productivity on site. 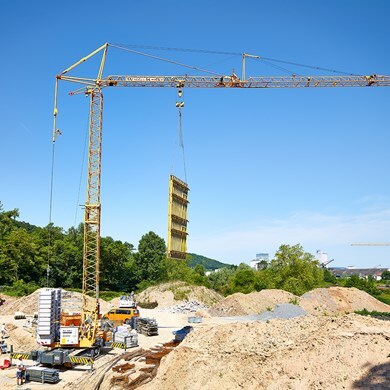 The double telescope fast erecting crane is very adaptable and flexible. He offeres economic viability because of an easy installation and high-performance impulse. 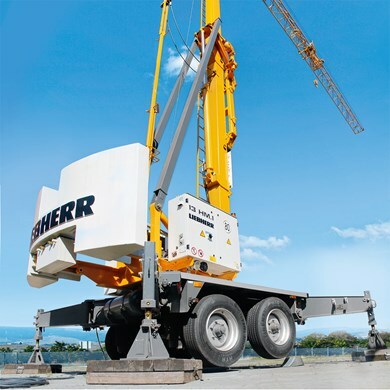 Moreover these cranes are available on crawler chassis.